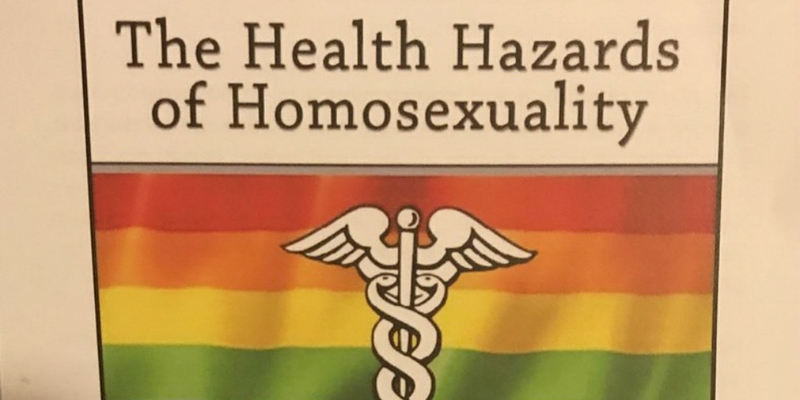 A flier was distributed at the Values Voter Summit in Washington, D.C. on Friday that promoted a book titled The Health Hazards of Homosexuality. Donald Trump spoke at the anti-LGBT conference, making him the first sitting president in the history of the United States to do so. 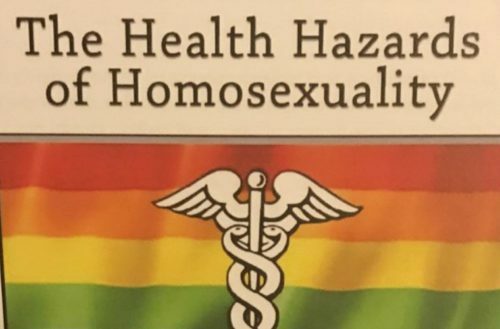 “The sexual revolution and mainstreaming of homosexuality have created a public health crisis affecting us all,” The Health Hazards of Homosexuality flyer reads. MassResistance, a Massachusetts based group that identifies itself as “a pro-family activist organization that educates people to help them confront the attacks on the traditional family” on its website, created the fliers to promote the book by its founder, Bryan Camenker. It also claims homosexuality is a mental disorder and the truth is being suppressed by “the homosexual lobby and their allies,” including the “radicalized” entertainment industry, media and educational establishments. LGBTQ advocate groups condemned Trump’s appearance at the summit. “This morning, addressing a gathering of some of the most extreme anti-LGBTQ activists in the country, Trump once again legitimized hate speech and vowed, again and again to write discrimination into law by pushing laws focused on religious exemptions,” Sarah Kate Ellis, president and CEO of GLAAD, said in a statement.